Today, exactly 49 years after the historic moon landing of Apollo 11, we successfully performed our first full dress rehearsal in Spain together with INTA. Early in the morning, we placed the rocket on the cart and transported it to the pad. 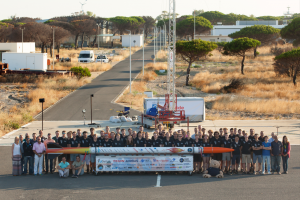 Our photographer Jurriaan Brobbel made an amazing group picture of us, the INTA staff and the rocket. The DARE Bear is on there as well; he provides us with moral support when times are tough, so we couldn’t miss him in the picture. This dress rehearsal was a very extensive one. 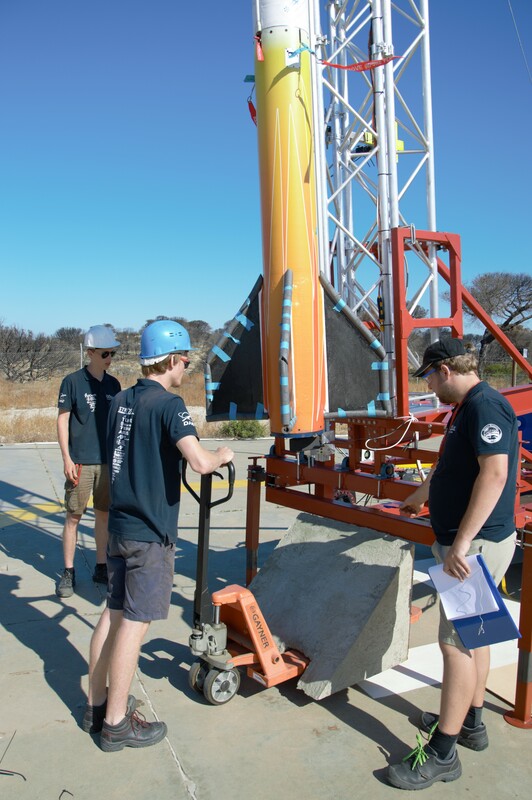 Almost all procedures that will be followed in the real launch were simulated, only critical things like filling the tank and firing the igniter were skipped. The receiver of the telemetry and video down-link was placed near the hangar and a video connection was established. The live stream was also tested in full scale for the first time. Stratos III with finished thrust deflector. Do you still remember the concrete thrust deflector that was manufactured two days ago by the tower team? Today it was moved to the tower where it will remain during the launch. For the less than half second that the flame of the engine blasts on the concrete, the pad won’t be damaged and the thrust will be deflected in the direction of the sea. This also helps prevent dust from blowing into the live stream cameras. 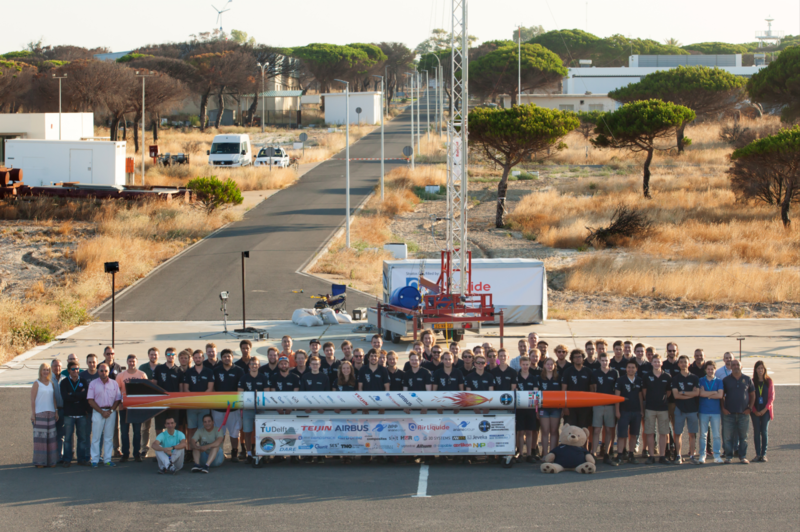 Our team is very happy with the results and we now feel confident that we’re prepared to finally launch Stratos III! Don’t miss the live stream on Tuesday the 24th of July at 20:00 CEST. Sign up here to get an email notification whenever the launch time changes. Stay tuned!